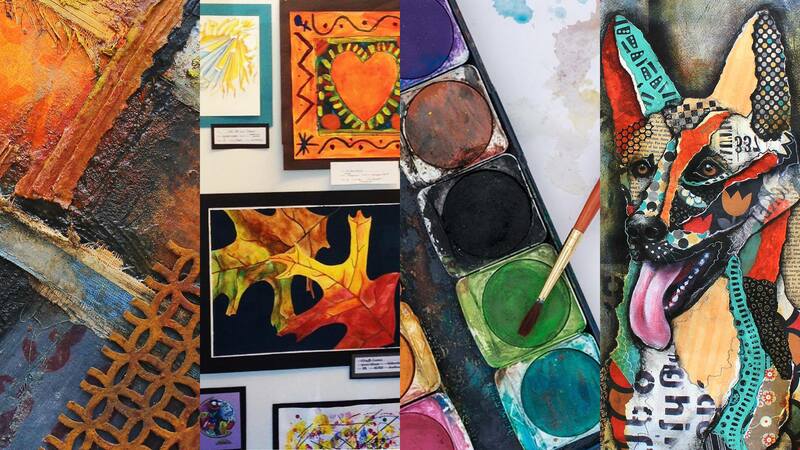 10-11:30am and 12-1:30pm – Kids will be creating fun watercolor paintings with instructor Michelle Pfeiffer. This class is sponsored by the Brainerd Area Art Guild. 10am to 12pm – Meet our featured Member Artist, Patricia Lintner. A self-taught artist for 45 years, Patricia found her passion of art at an early age, and finds her inspiration from visualizing colors and how they play together in varying arrangements. She has a diverse portfolio that covers abstract acrylic paintings, oil and cold wax, mixed media collage, and soft pastel portrait drawings. View some of her interesting pieces on display, talk with her, and learn more about the process for creating her artwork. 10am to 2pm – In our gallery – our current exhibition, “Young At Art” will be on display. Our annual exhibit featuring the work of students from local schools is floor to ceiling color and exploration and one of our most well-received shows of the year.